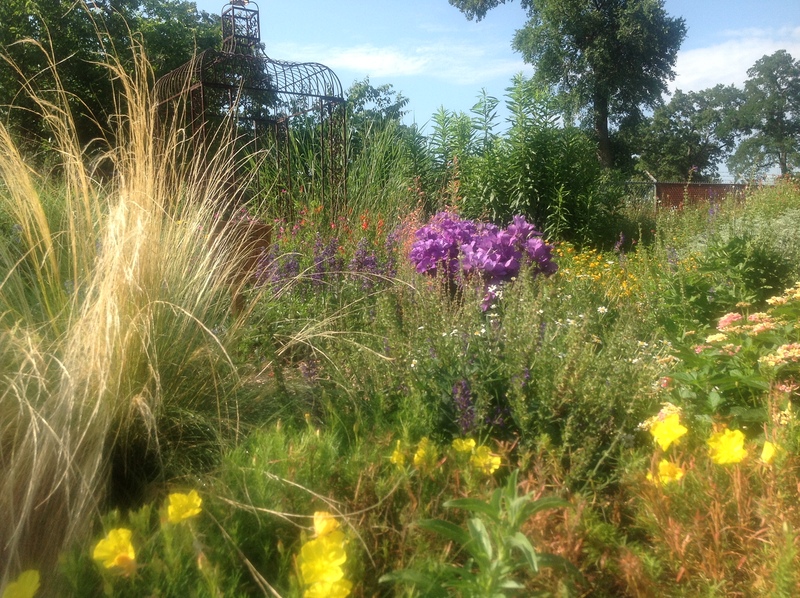 Here in the Prayer Garden, summer is a time for evaluating the plants for signs of stress and adjusting for nutrition, soil conditions, and water. The longer I garden, the more similarities I see between plants and people. Let’s face it, folks: some plants and people really can’t take the heat without some supplemental water or tender loving care! And we gardeners sometimes have to make hard decisions about the fate of the plants in our care. Do we pamper this sad little fellow or pull him out and replace him with a tougher specimen? Some plants are worth the extra effort required to make it through the heat of summer, and others are not. And that, of course, is where the metaphor breaks down. The Master Gardener knows just how much heat and drought we can tolerate, and He watches over the garden with tender loving care. He knows what kind–and how much–stress we need to develop deep, strong roots that will serve us well in the days to come. There is no shallow watering in the garden of the Lord, for that produces weak roots that never learn to stretch out in search of the water and nutrition necessary for strength and fruitfulness. May this be a summer of stretching and strengthening for all of us.